Managing a Facebook page is a proper job. When we decided to return to Sicily after our bicycle journey through Europe and Morocco, we chose to use our Facebook page Ciclabili Siciliane – Sicily Cycling as our main communication channel to promote bicycle tourism in Sicily. And we are happy that we did so! The page works! However, it requires much work and attention every day and the ability to stay focused on your objectives. Luckily we are cyclists and we know that after each tough climb there is an amazing descent awaiting you. From the very beginning we were aware of the fact that we had to pay attention to each and every user and reply to all comments in a constructive manner. We write posts, share photos and content, like other pages, reply to dozens of private messages, reply to criticism and find new friends, followers and fellow bicycle tourers who’d love to discover Sicily by bike. We did all of this as volunteers, without asking anyone for anything and what happened? Facebook accepted our application for the Facebook Communities Summit and included Ciclabili Siciliane – Sicily Cycling among the 100 most influent pages in Europe and covers the cost of our admins’ journey to London. Wow, what a great suprise! 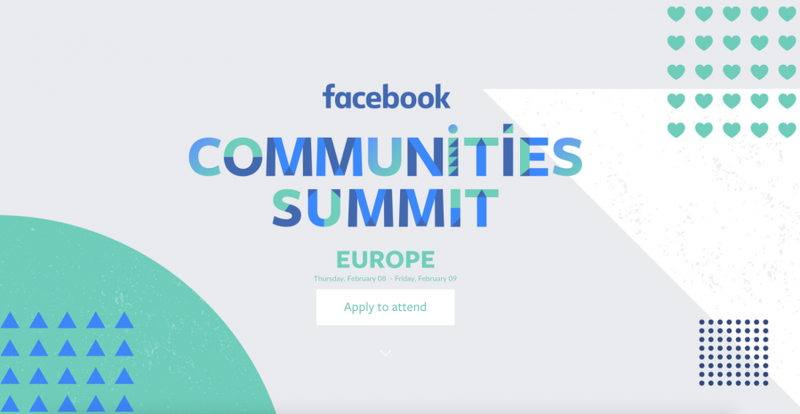 During the Facebook Communities Summit that will take place on February 8-9, 2018 the admins of the 100 selected pages will have the opportunity to participate in workshops and meet Facebook experts who will help them foster their communication abilites through Facebook’s tools. The page admins will be the first to learn about the latest news and tools that Facebook is launching on the social network. The participation is free and the costs are covered by Facebook that is why places are limited to two admins per page for 100 pages/communities.